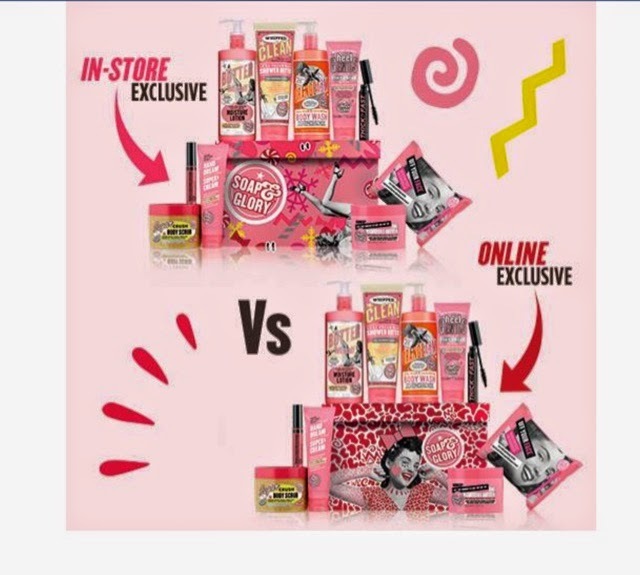 LollyLaura's blogs: Soap & Glory Special Offer Alert !!! Soap & Glory Special Offer Alert !!! I just saw this offer on Facebook and had to share it with everyone!! Every year Soap & Glory really impress me with their Christmas Gift Sets especially the Star Gift which is always heavily reduced and this year is no exceptation. I'm very excited to share this and I will be one of the first in Boots on Friday morning stocking up on some of my favourite Soap & Glory products! The box has been specially designed by Hattie Stewart and looks bursting with all the brands best sellers! Christmas gift sets keep me going all year round normally and with this one full of £75 worth of treats I won't be stocking up my bathroom shelves for a while that's for certain! There are 2 box designs, one an online exclusive and the other an in store exclusive. The box is going on sale on Friday 12th December 2014 for ONLY £29 so I suggest you hurry down to Boots if you want to get your mitts on this beauty!! Hi I am a 22 year old girl from Blackpool, UK.